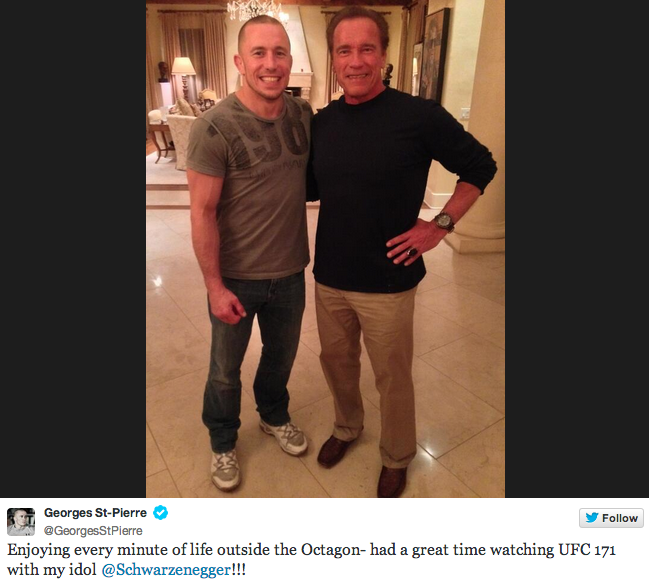 If you watch UFC’s video blogs, you’ll remember that GSP was quite starstruck after his split decision victory when he ran into Arnold Schwarzenegger. Months later, Georges is watching the epic UFC 171 event with none other than his childhood hero and now friend. Dana White is certain that GSP will come back to fight again. Visit SciFighting.com for more coverage and fight breakdowns.